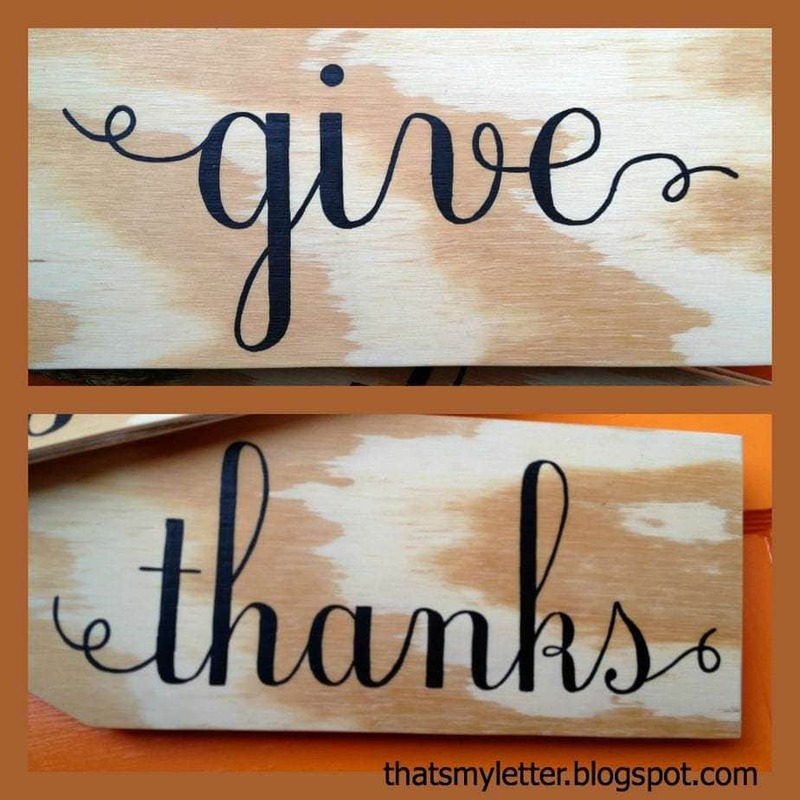 Using wood to make decor makes my heart go pitter patter. I had this crazy idea to make giant wood tags and hang on the front door as decor, it’s always fun with playing with scale. A DIY tutorial to make giant wood tags. 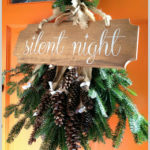 Create a unique wreath alternative front door decor with giant wood tags perfect for any season. 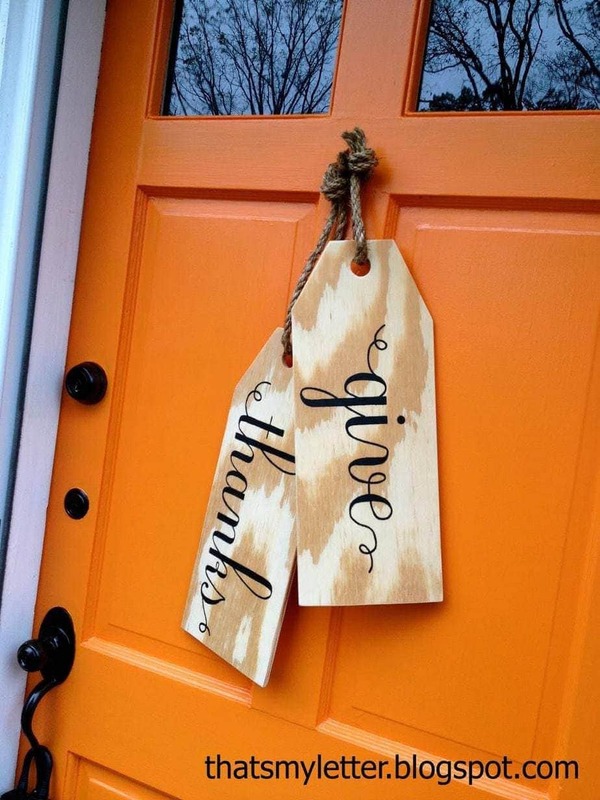 This project happens to fit the Thanksgiving theme however you could paint anything on these tags – happy holidays, your last name – whatever fits your theme. Then added some jute rope to hang the tags just as they would be tied onto a package. Below are the step by step instructions to make these giant wood tags. Step 1: Cut 1/2″ plywood to size and drill a 1″ hole at center top. Step 2: Print out words to fit. I used Ecolier font at 550 point. Using a ballpoint pen trace letters onto wood with heavy pressure. 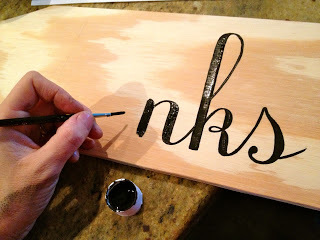 Step 3: Paint on and inside the indent left behind by the pen using black acrylic craft paint. If desired seal with clear semi-gloss poly to protect from moisture. My tags hang behind a storm door window so they really aren’t exposed to much weather. Step 4: Add jute rope and tie in a know. 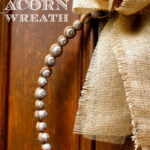 To keep rope held together use clear monofilament and then hang on door. THESE LOOK TERRIFIC, GREAT IDEA! Oh I love these – they are so big! They look great on your front door. WOW! 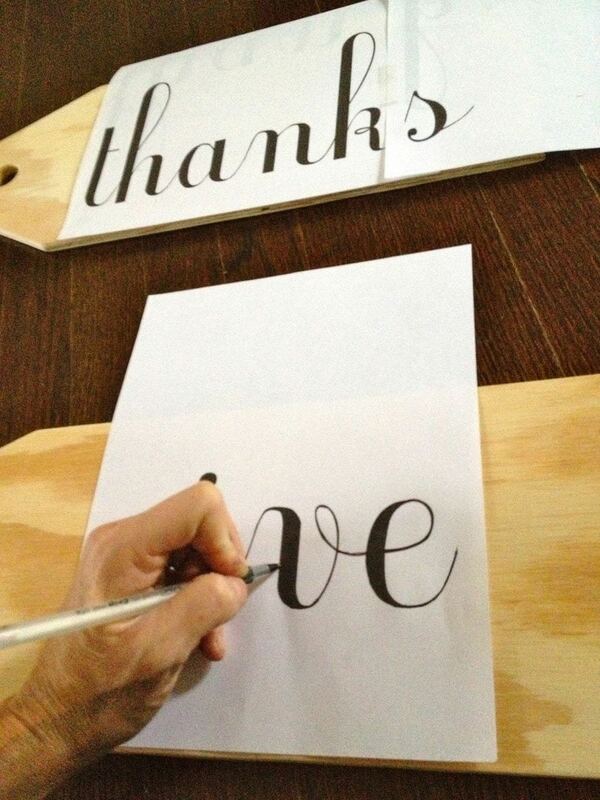 You did a great job painting those and it is such a cool idea to use them in such a non traditional way! Plus, I love the color of your door! 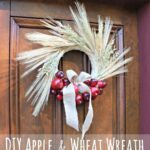 what a great alternative to a wreath! great idea! So happy to see that you all are well and back to creating! I love these so much…I noticed the tags in my catalog right away, but never thought about them being giant! What a great idea!! Great job,I love your tags! We don't celebrate Thanksgiving in The Netherlands, but I do like the concept. These are so fantastic! 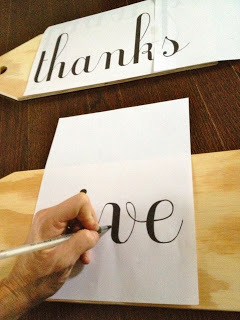 I love seeing unique ideas and this is definitely one of them : ) I'm pinning! I love this idea! So cute and original! 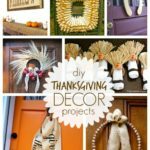 I'm always looking for something different for our door besides a wreath. Thanks for sharing! 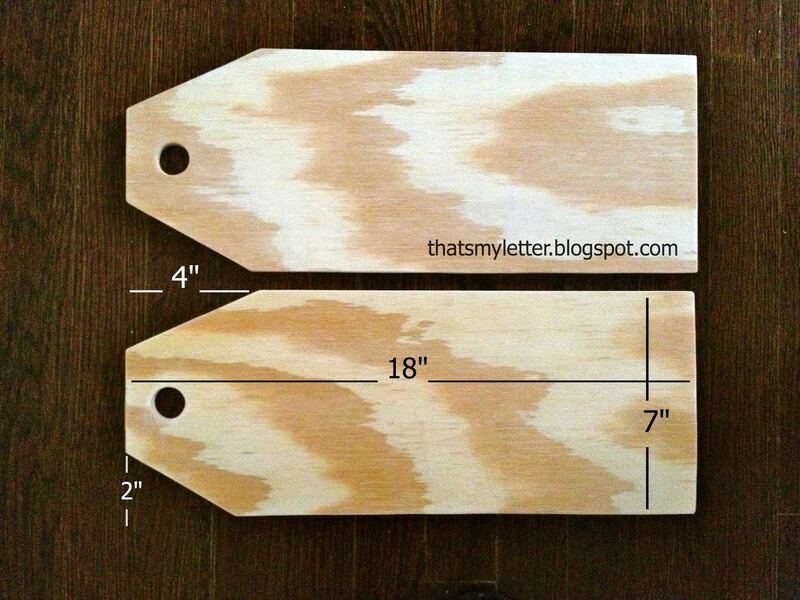 Your wooden tags are beautiful Jaime! 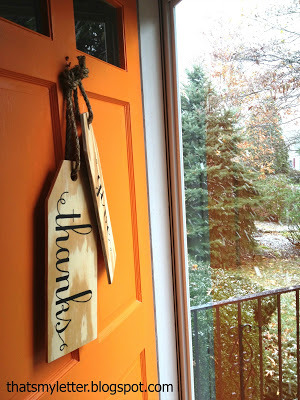 Love your door too, orange is such a happy colour and perfect for Thanksgiving decorating!! Love these tags!! Where did you get the font from? Very cute! 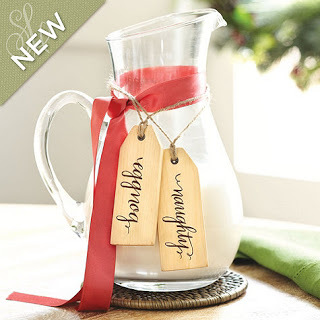 I love tags, just realized I used them in the last two posts I have done!!! I never thought of making giant tags for the front door!! I like these!!! 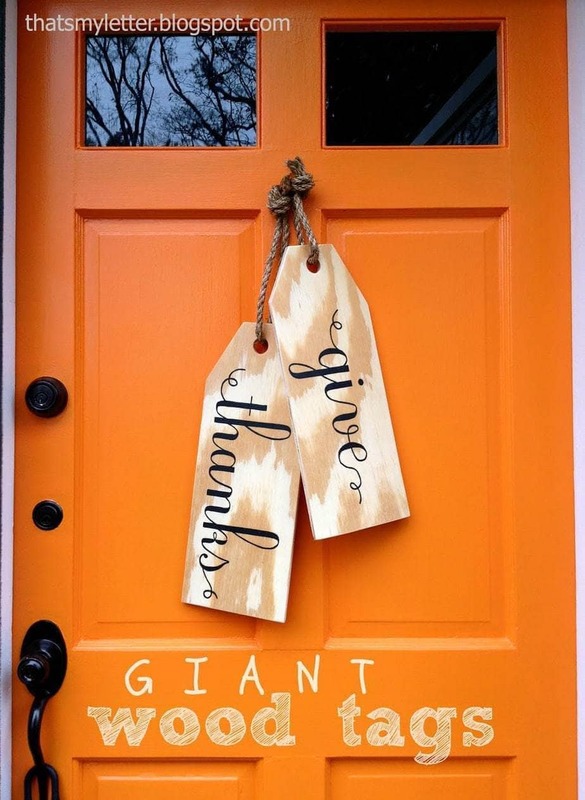 Well, here I am again… I LOVE giant tags and am totally going to rip them off, like this week~ You are fantastic! Yeah, I'll be making some of these! I like that it's such a simple alternative to a wreath. Very cool, Jaime! You always have great ideas and tutorials! 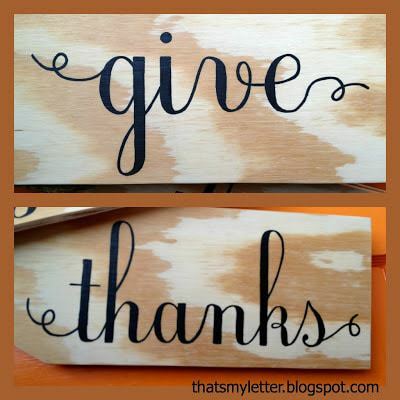 I'm forwarding to my husband and have hime cut some of these to make for my front door, love this! I have never seen anything quite like this before. 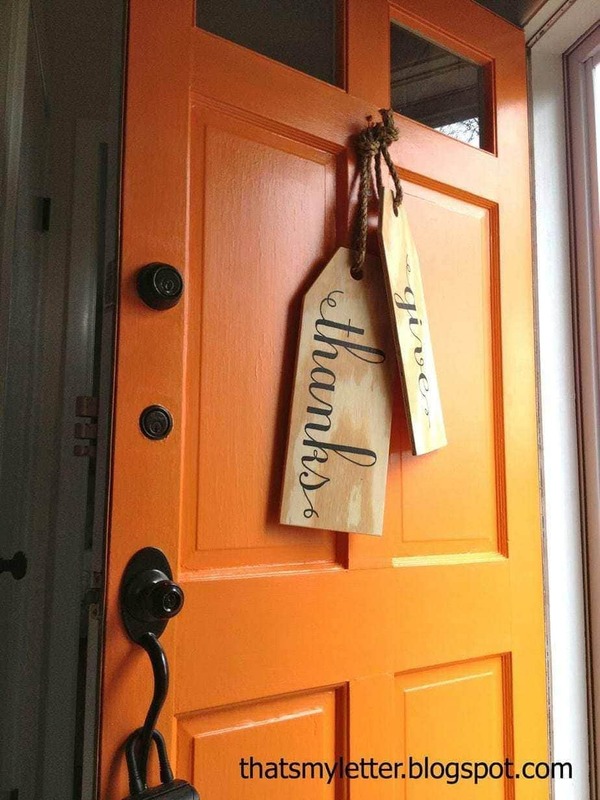 I'm loving the look…especially on your bright orange door. Consider this pinned! Also, I see you're from Westchester! Though I'm living in Orlando, I actually grew up in Mamaroneck. We'll be there this Christmas, in fact. Small world! Wowzers! 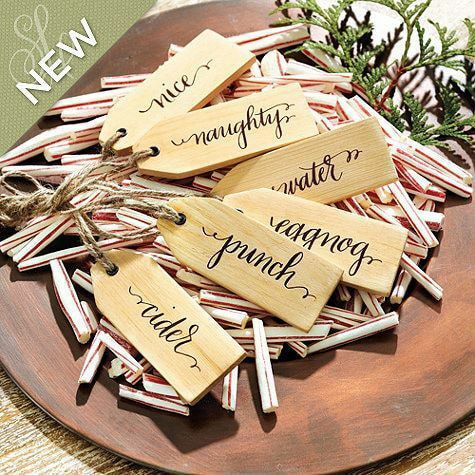 I saw these (well, the Xmas ones) via knockoffdecor. I sooo want to make them but I have double doors. Should I just hang one on each door or is that odd?? Help! Beautiful job! The words came out perfect. These tags are so awesome! I shared on my facebook page today and I hope you had some new friends come over. They rock! Where did you find your jute rope and how thick is it? I am loving these! So creative and such a perfect message. I would love it if you would stop by and share this over at Celebrate it Sunday. The party stays open until Saturday afternoon! I am pinning this and sharing over at FB and Twitter! I just found your blog, and I'm hoping you'll see my comment even though this post is from 2012. 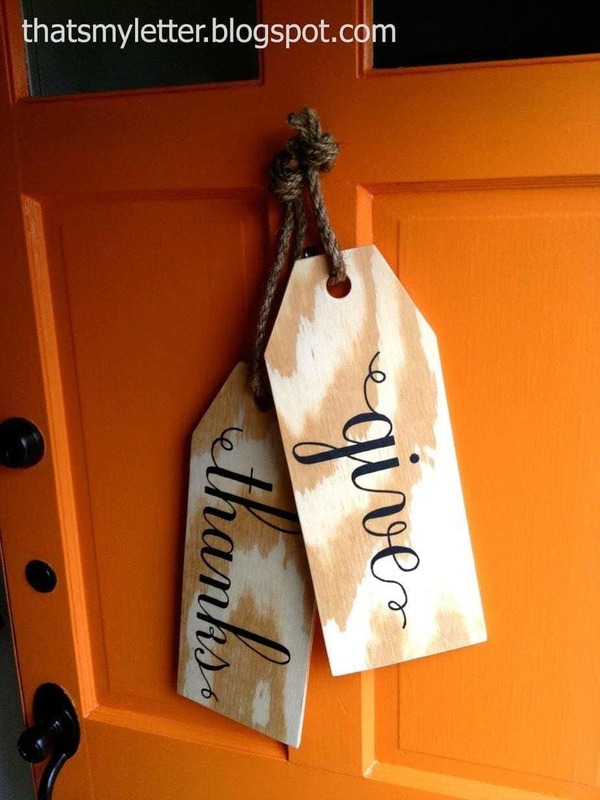 I love both your wooden tags, and also your orange door. It is the color I've been looking for!! Could you please tell me the paint company and color. I would so appreciate your help! I LOVE these! thank you so much for sharing the instrutions also..
Cant wait to make these for family and friends next year!!! These are so cute! How do you get them to stay offset from each other so they don't just hang one in front of the other? Absolutely brilliant! And it looks SO pretty!!! 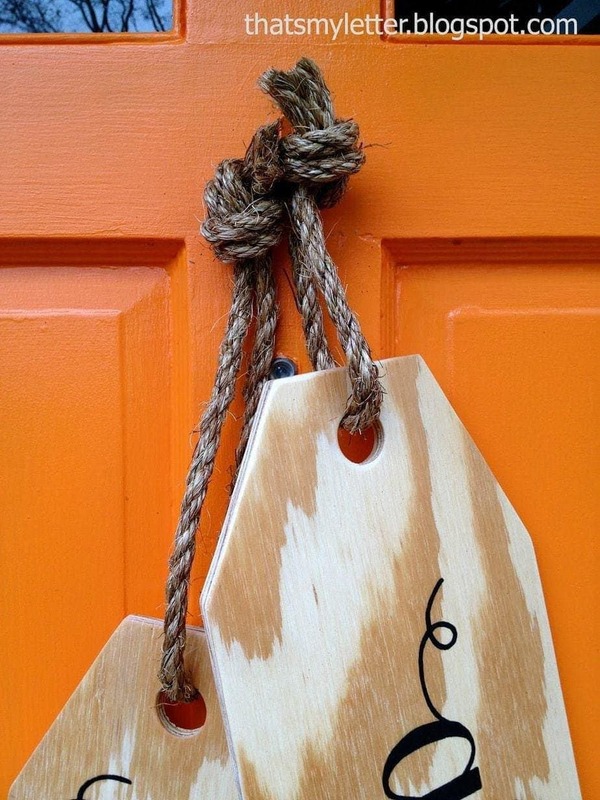 Hello-silly question, but do you sell the wooden door tags? Hi Lori, thanks for asking but I do not sell the door tags.